Macky decided to spring for a pre-birthday weekend getaway, so as you're reading this, I'm probably enjoying the beauty of Cape Cod. I'm excited to be able to visit it again this year, since I fell in love with it when we went in May. I'm also excited because it's August, and that means my birthday month is finally here! Can't wait to celebrate with all my family and friends; I'm sure it'll be spectacular! Brittany has created a list of reading suggestions for adults who enjoyed Harry Potter. I certainly approve of many of these choices, particularly Throne of Glass, Cinder and Seraphina! And I definitely see a few titles I'd like to give a shot too. Chachic has come up with a handy list of Filipino titles to check out. I'm always on the lookout for new books by my own countrymen or featuring my own culture to try reading, and I can't wait to get my hands on some of these! The team at Quirk Books share a few tips for bookstagram! I'm always striving to improve my photos and up my Instagram game, so I'll definitely be considering a few new ideas to spice things up. Brittany writes about going into books blind. I'm actually a lot like her in that respect! I do have a vague idea of what a book is about or what genre it belongs to, but I generally don't read a synopsis before I pick one up to read - and it usually serves me well. 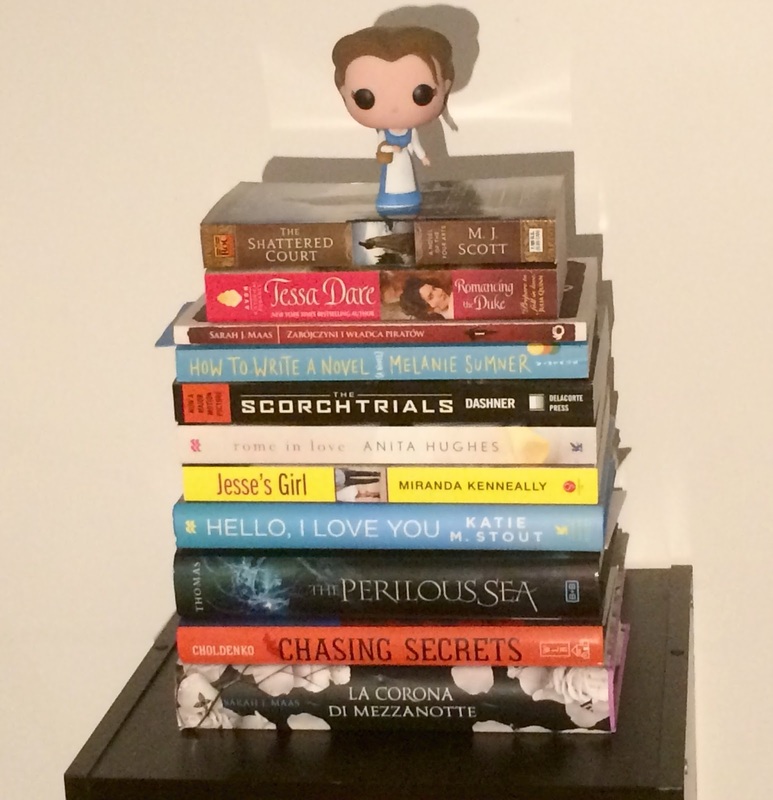 Kelly shares her thoughts on how to manage your TBR. I seriously need to learn from her, as my TBR pile is constantly growing... even when I'm trying to whittle it down. I'm hoping that her questions and my Picky Pledge lessons will help me get better! Brittany shares her thoughts on instalove. Personally, as I said in my own comment, I do believe in an instant connection with someone, as well as instant attraction. Love, on the other hand, can happen, but it takes time to grow. I love your Belle funko!